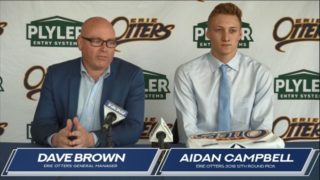 Toronto, ON – The Ontario Hockey League today announced that top 2015 NHL Draft prospect Connor McDavid of the Erie Otters is the Pioneer Energy OHL Player of the Week for the playoff week ending April 12 after leading the league with 12 points in three games scoring seven goals and five assists with a plus-minus rating of plus-8. McDavid collected three multi-point games helping the Otters gain a 3-0 series lead against the London Knights in the Western Conference Semi-Finals. The highlight of his series to date is a five-goal performance in Friday’s Game 2 earning first star honours in the 7-3 victory. 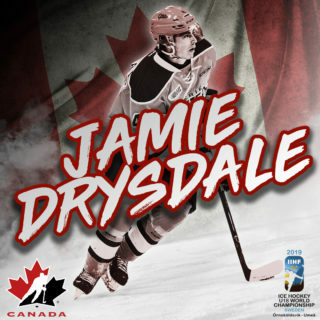 His five goals set a team playoff record and marked the first five-goal OHL playoff performance since Jonathan Cheechoo of the Belleville Bulls in Game 7 of the 1999 finals against the Knights. McDavid opened the series with two goals and two assists as first star of a 5-2 Game 1 victory last Thursday, and recorded three assists on Sunday in Game 3’s 4-1 win. The Otters will aim to close out the series in London on Tuesday night with Game 4 broadcast live on Sportsnet 360 beginning at 7:00 pm. 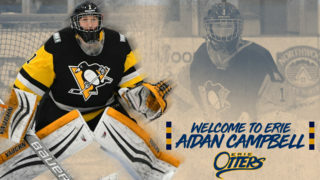 McDavid, an 18-year-old from Newmarket, ON, is playing in his third OHL season with the Otters. 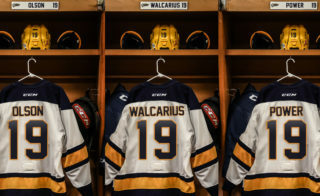 The OHL playoff scoring leader has 21 points in eight games after finishing the regular season campaign with 120 points in 47 games. 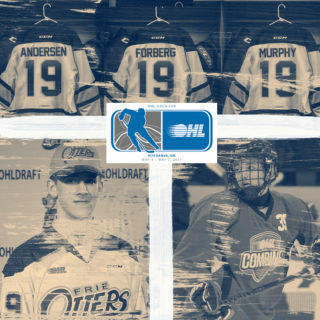 McDavid is the top skater for the 2015 NHL Draft appearing first in NHL Central Scouting’s final rankings released last week.